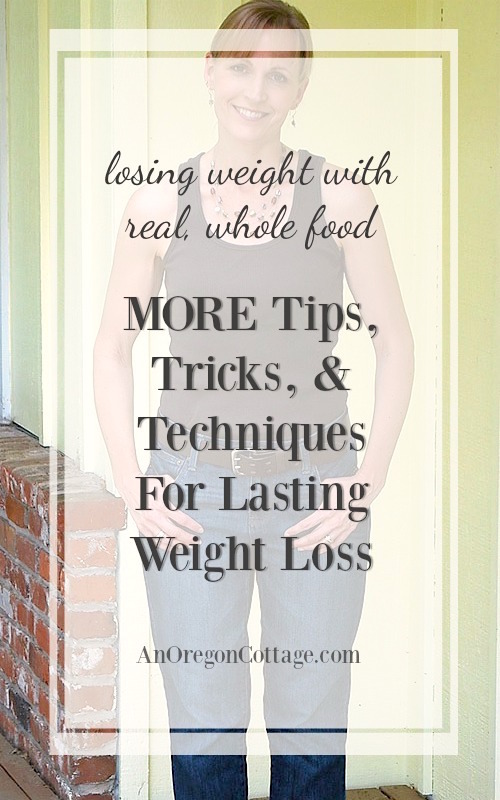 Six more tips, tricks, and techniques for weight loss to help you lose more weight than ever while eating real, whole foods. 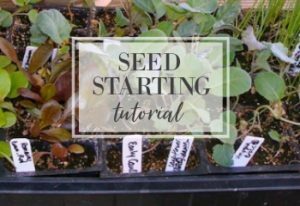 If you missed it, see the first six tips here. See all the other parts of this series below. Affiliate links are included for your convenience. I hope you found something in the first six tips I shared to help you towards your food goals, whether that means losing weight or just eating intentionally for health. Regulating and caring about the food we put in our bodies should actually be a goal of ours no matter what we weigh, shouldn’t it? Are you ready for more? This group of techniques ends with probably my favorite tip of all! 7. Weigh yourself at least weekly. (I like scales like this shown to try and get an accurate number.) While some people may feel they don’t need to, there are many studies (too many to link to – a quick search will pull up a lot) that show that weighing regularly is a key component to losing weight and keeping it off. Some suggest daily, but I find there is too much fluctuation for me- I think weekly or a couple times a week is sufficient. I know for me, when I didn’t weigh myself and I just let my clothes tell me if I’d gained pounds, it was too late. Meaning, ten pounds is a lot harder to think about getting off than two or three…or even five. Who knew clothes could hold so much extra poundage? Bottom line for me- yes it’s “just a number” but I need the reminder to think about what I’m eating (back to that “unthinking” eating that always plagues me…), and to get back on track if I see a couple of pounds creep back on. 8. Eat favorite foods first (really! ), stop when full, and save the leftovers. 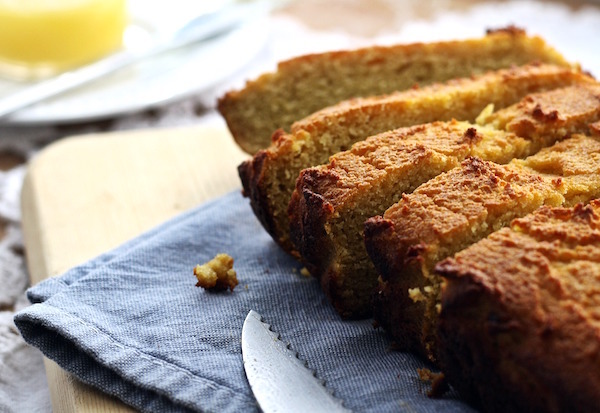 Food that tastes so good you don’t want to stop eating? I’ve been there and still go there often. Cut things in half and put them in containers for lunch the next day. 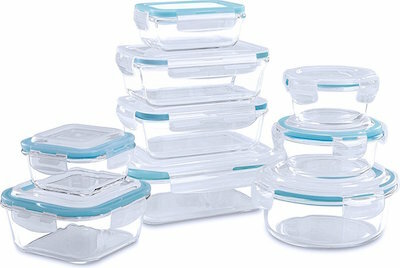 Using glass containers means you can just heat them up easily and enjoy that food again – without overstuffing. I’ve been known to put a post-it with my name on containers in the fridge for lunch the next day. Knowing I can eat a favorite food again the next day helps me to eat a small portion and not feel deprived, so you do what you have to when you live with others, right? What about eating your favorite foods first? Doesn’t the thought of it go against the grain? As a kid of course it wouldn’t have worked, because all my meals would’ve consisted of bread, meat, and desserts, ha! But now it means that I first eat whatever I like best on the plate – which is often roasted or grilled vegetables (yum.) or meat. I’m not as big on potatoes and rice, so that usually gets left for the last. What we have to get away from is filling up with all the foods we think we “have” to eat, then eating what we want to eat (and which we now “deserve,” because we ate all the other stuff…), even if it’s past full. This includes a meal with dessert. If a dessert is part of a meal, plan for it and eat accordingly (that means less) so there is room for a small portion. 9. Limit eating (i.e., “tasting”) while cooking. Ah…what we eat in the name of tasting. More of that unthinking eating. I’ve realized through writing this and Part One that I can see the change I’ve made towards being intentional about what I eat. Really thinking about it. And yet, to be honest, there were many years I didn’t want to think about what I ate – I was so tired of it. What’s different now? I think it’s that my food isn’t “diet food” or different from what everyone else eats. I don’t feel like I’m thinking about it all the time. I don’t keep a food journal (I know it helps people and there are studies to prove it, but it isn’t for me), I don’t buy special foods or eat other things, and I don’t measure and weigh all my food (that’s what I like about using the measuring prep bowls – they seem like regular bowls) – just some snack items. 10. Change the “don’t waste food” mindset when it comes to cleaning your kids plates. The food is not going to be wasted if we don’t eat it. In fact, it will be wasted by going to extra, unneeded pounds on us! If it’s a large portion left, go ahead and save it for a leftover. Otherwise, feel free to toss it – just try to reduce waste at the other end in the future by giving them less on their plates. 11. 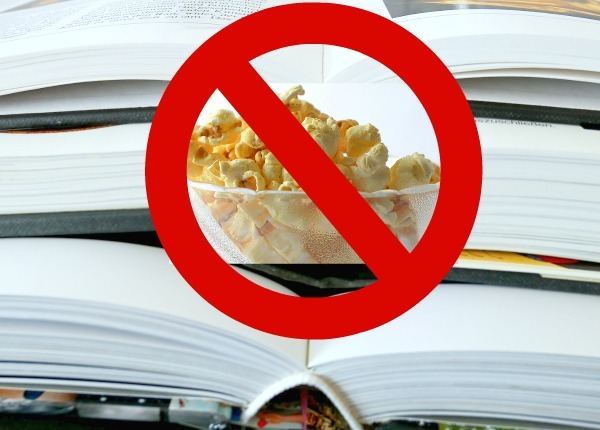 Break bad food habits like eating when alone or reading. Oh, this was (and still is!) the hardest thing for me to get over. I started these bad habits in elementary school by eating after school when I was alone, often with a book in hand. Then it became eating bad-for-me foods when I was alone. Even now, when my family leaves and I’m alone, one of my first thoughts is, “what is there to eat?” Doesn’t matter if I’m hungry or not. And munching on something while reading a book has always seemed comforting to me. So I really try to not eat while reading. About the only exception is on days I work, I use my lunch time to read the mail. But it’s at a table and the food is on a plate, so it’s pretty safe. A book and a bag or container on the couch, though? Double no-no…that bag will be empty before I know it! I have found that chewing mint gum or eating a mint will help me to get past the desire to eat in these situations, so I keep mints in a couple of desks at home and in my purse. 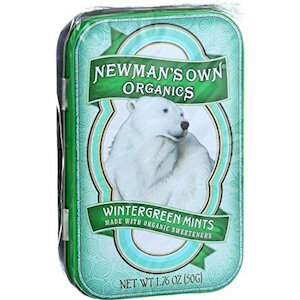 My favorite are Newman’s Wintergreen Mints – no weird ingredients with just the perfect amount of minty-ness. 12. Use dark chocolate to ward off sweet cravings. I love chocolate. LOVE it. And I’m so glad I discovered this trick and overcame the guilty feeling of eating chocolate every day. Yep, every day. Years ago I read a book called The Fat Fallacy (which I loved- it’s about how the author moved to France and lost weight eating full-fat, real foods!) and learned it was OK – and even beneficial – to eat a small piece of dark chocolate after dinner. 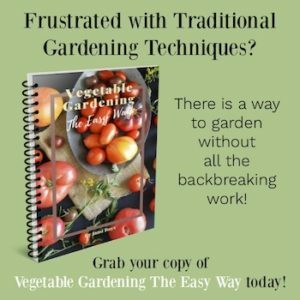 Well, there you have it – the 12 tips and tricks I’ve used (at least all I can think of right now!) through the last few years to lose weight, keep it off, and be healthier. What about you- what are some of the things you do that help you to lose, maintain, and feel satisfied? I hope you feel free to share in the comments or on AOC’s Facebook page! I am so glad to find this site. I had decided to start eating half portions recently and reading this was encouraging. Thanks. I linked this over to my sister and daughter. I’m going to try your method. I’m determined to get to my ideal weight. I have a quick question – do you ever drink wine or other alcoholic beverages? I’ve enjoyed reading things on your site. Thanks for sharing. I first fell upon your site when searching for a carmel apple recipe. Tried yours and we loved it! We had so much left over so I put in the freezer. On a Sunday afternoon, for a treat, we put it over popcorn! Yum! Agree with your comments on weight loss. Sometimes when I’m cooking and just have an urge to keep ‘tasting’ or snacking, I have an apple or carrots cut up and then allow myself to snack on that while cooking. Helps to kill the urge with something good. That’s a great tip, Wendy – especially when making something like cookies. 😉 Also good to know the caramel dip takes to freezing – I’ve not tried that before. Thanks for sharing that! These are such good healthful eating tips, Jami–thank you so much for sharing them! I have a final 8-11 pounds that I have been struggling to get rid of. Eating too much, but I feel like I don’t get to eat all that much already–short, middle-aged and female! Still, I’m going to have to cut back a bit on my smaller servings. Reading what you have to say helps motivate me–you look great! I love the clothes part. I have dropped 20 lbs in the last couple of months, and I am still wearing the same clothes. They fit better, but I keep thinking, I wonder what I looked like in them before!!!!! About the weighing thing. 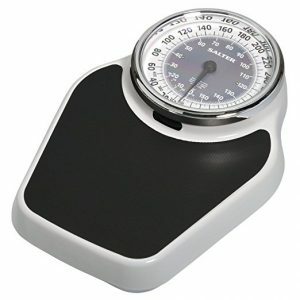 Years ago I was taught to weigh myself every day,yes, every single day. But here’s the thing, you simply weigh yourself every day and record the number, no need to panic about fluctuations, they are perfectly normal even when they amount to 2-3 pounds. After seven days you add them all together and divide by seven to come up with your average weight for the week. Once you get used to it, it isn’t stressful at all and I believe that it is a more accurate picture than weighing yourself one day per week. If you happened to be retaining water, or any of the other myriad of things that effect your weight, then you are going to be thrown by the fact that you are now 5 pounds heavier than your weigh-in the week before. While this might not be quite as critical when you have achieved your goal weight it can be quite devastating to someone who is just beginning their journey or is otherwise fragile when it comes to the dreaded weigh-in. Know what I mean? This is a very good idea, Mel, with some good reasons and insight. Thank you for sharing it! I’m not offended at all. 🙂 We all gotta try different things until we see what works for us so we can get to a healthy place. That really is a great idea. I tried weighing everyday but when you are 2 lbs up from the day before it makes for a bad day! I think I will try it! Thanks! Thanks! Great series. I need all the motivation I can get. 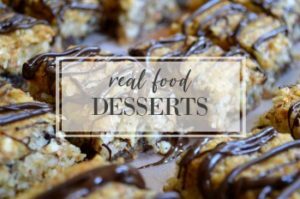 Love the idea of REAL food and CHOCOLATE !! :) Looking forward to future posts. Great way to get a true weekly weight. Thanks for sharing. I agree normal fluctuations can make you feel so happy or so deflated and if you only weigh in once a week and it is the wrong day in the fluctuation it can be devastating to your psyche. I will definitely put this in my routine! Love this series! I need to quit eating at the computer because I know I eat more that way! Eating 1/2 is what I need to try because I do real good for a few days at tracking my food on sparkspeople but that gets old fast. It has helped me see though that I don’t eat enough protein and the protein I do eat is high fat/calories. I am vegetarian so it is mostly cheese and nuts and it takes a large amount of those things to get enough protein. On portion sizes…we ate out and I ordered nachos for $10 substituting brown rice for the meat. I was first brought 3 small bowls with at least 1/2 cup each of salsa, guacamole and sour cream. Then came the nachos in a full size pyrex pie plate heaping full! It was enough for 2 full meals easy! Crazy, but it seems like if we eat out and don’t get a large portion we complain about that too! Oh how I have tried to like yogurt and cottage cheese! Many time over the years I buy it and try adding different things to it and I will eat it once or twice and can’t gag anymore down. I think it is more the texture. I love crunchy things ( chips, crackers etc) I always thought chocolate was my downfall but it is those dang chips! I have recently resorted to vegetarian soy protein powder. 1 scoop has 25 grams of protein! Mid morning I add a scoop of that to a cup of organic oat milk, 2 tbl flax meal and a hand full of berries out of the freezer….blend it all up and drink about 1/2 then and the rest mid afternoon. I do notice the protein fills me up more. I don’t really like drinking my calories, I would much rather eat them but this is quick and easy. they have protein as well as a lot of other nutritional factors.